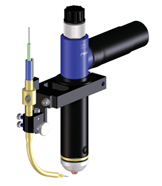 This compact cutting torch can be fitted to any pilot-arc ignition plasma cutter. Available with 90° and 120° inclinations. Straight head compatible with any CNC cutting machine. Withstands heavy duty operation even in adverse environment. Increases consumables life and is efficient for lower cost of cutting. Fully machined construction to precise standards. Copper nozzles available in the range of 2.5, 3, 4 & 5 mm. 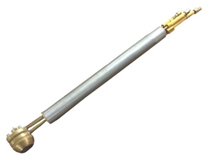 cooling capacity - Complete encapsulation of the torch's gas and water service tubes. 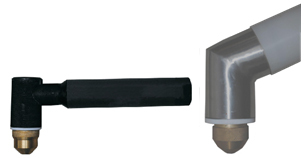 Longer nozzle life - Efficient cooling allowing for preheats. The unique design promotes rapid heat dissipation contributing to maximum consumables life.